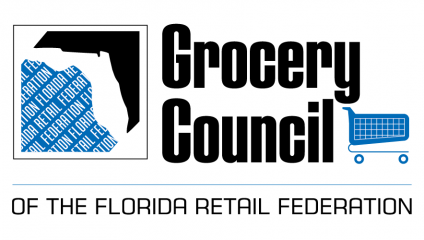 FFRF’s Florida Grocery Council represents and advocates on behalf of Florida’s $45 billion grocery industry, including the needs of the more than 2,300 stores and their industry partners statewide. By joining the Council, you are supporting the ONLY organization that focuses solely on Florida’s retail industry. And your membership gives you an opportunity to help determine what regulation and legislative changes would help ensure your business is successful. Member grocers benefit from our influence on the passage of positive legislation and, most importantly, we are there for you working to stop legislation that could negatively impact your business through taxes, regulations or fees. As long as there are threats to your business, the Florida Grocery Council and the Florida Retail Federation will make sure the voice of the retail industry in Florida is heard loud and clear. Additionally, your membership in our Council creates buying power and voice power by offering services to help you more effectively run your business while also connecting you with other business leaders like yourself in the grocery industry. Advocacy – We are your voice in the state Capitol. Our team works year-round to protect Florida's grocery businesses from harmful taxes and regulation. Our mission is your mission - to make our state a great place to do business. Intervention – We are in your corner. Our members have the exclusive privilege to call on our legislative team at any time - we will work on their behalf, intervening directly with state lawmakers and regulators to assist with any problems. Political - We increase your influence. Elected officials need to know how their actions affect businesses in our state, and through the Council, you can increase your participation and influence in the political process. JOIN THE FLORIDA RETAIL FEDERATION TODAY! Membership entitles you to receive exclusive information on the issues and events that are important to the grocery industry via regular emails, as well as a Grocery Council staff member available to help you with issues or answer questions you may have. Joining the Florida Grocery Council is a smart investment in your business and your industry. We look forward to answering your questions about membership, education or services. We can help.